Some companies act specifically as long distance telephone service providers. These are small companies that can offer pretty low rates on most types of calling. Depending on your calling habits, a long distance company could save you a lot of money. Use our rate evaluator below to compare long distance service providers and see if a long distance company is a good choice for you. Just tell us what state you live in, your monthly minute use, and what percentage of your calls are in-state, and we will help you find the best deal with a third party long distance company. When you decide to switch to a long distance service provider rather than a traditional service provider, or a VoIP service provider for your business or residential long distance, there are a few things you should consider. If you need to make a lot of long distance calls, then a long distance phone service is probably a good deal for you. Long distance phone service companies offer good rates for long distance calling. For example, a long distance call from Maryland with Pioneer Telephone costs $0.033. These rates are very competitive, especially if you are switching from a traditional telephone company where long distance rates can be as high as $0.10/minute. However, if a good percentage of your calls are still local or in-state calls, then a long distance service may not be the very best deal for you. For example, if you live in California and only 30% of your calls are out of state, then a Talk Cents plan with Pioneer Telephone costs you $19.08/month. This is cheaper than an Unlimited Nationwide Calling One plan with AT&T , which costs $25/month, but it is still more expensive than an unlimited nationwide plan with a VoIP provider, like the Premium Yearly plan with VoIP.com for $8.33/month. In addition, because these companies are small, they may have limited service areas. As a result, rates are more expensive for some states. To use a long distance service provider, you need to find a way to get local service first. If you live in an area that is served by that long distance company, then you can use their local service. But if they can’t provide local service, you need to have a local phone line established by a different local service service provider before you can use a long distance service provider. Long distance phone service providers also don’t offer as many options for cell phones. When you enter a cell phone number into a long distance phone service company’s rate evaluator, the number is either rejected, or you are told to look into an alternative plan. Pioneer Telephone, for example, directs you to a plan called Tier C, but the rates are basically the same, with about a $0.03/minute charge on out-of-state calls. You may also have limited access to certain features like voicemail and call routing. ECG doesn’t mention these features anywhere on their site, and Pioneer Telephone claims that you can add certain features to your plan as you want them. These features are only available in the local service plan, but I couldn’t figure out if there was an additional cost for features. It’s easy. Once you’ve found a plan you like, sign up for their service. Your new provider will contact your local phone company, and the switch will take place in about a week. In most cases, you don’t have to contact you local phone service, though ECG recommends that you contact your old long distance service so that they don’t continue to bill you. You shouldn’t notice any change in call quality. All the companies we work with transmit over fiber optic networks. In fact, most of them are working with larger telephone service providers. The long distance companies pay them a fee to use their networks, meaning that call quality is exactly the same. It depends how many long distance calls you make. 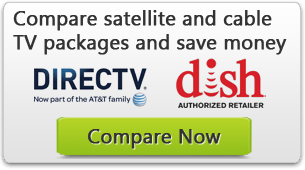 For example, if you switched from Comcast’s 1 Full Featured Phone Line at $44.95/month to an Easy 2.5 long distance phone service plan with ECG at $14.80/month, you could be saving $361.80 each year. This is about a 68% percent discount.